Over the past year or so, like many, many other authors, I’ve been trying to sell my two ebooks. They are not only available on Amazon, but I’m going to focus on Amazon because that is where most of the sales occur. I’ll try to answer the following question – how useful were the following in selling ebooks? Before my first book came out as an ebook, I set up a website. My books are science fiction, and I had an idea for the website look, but first I had to find a website designer I could trust. Luckily, I was already published in non-fiction and was a member of the UK Society of Authors, and they gave me a few reputable contacts. I settled on Annie Pennington, and over the course of about a month, and a bunch of designs we finally homed in on one, and I decided to incorporate my blog into it. All in, it cost around £1000, but everyone said it looked good, and professional, and I consider it money well spent. However, I don’t sell direct from the website, I just have links to Amazon etc. But there is a bio and more info about my books, and some free short stories. To me the website is not about selling, but it is an enabler, and can help a reader decide whether to purchase or not, and show them how serious a writer you are. You need to check early on that your title is not already out there (and your author name, incidentally), otherwise you may find that when people search for you or your book that they find another one instead. The title should be catchy. Can you judge a book by it cover? Well, even if you shouldn’t really, people will, especially if you are an unknown author. My ebook was published by a small ebook publisher, and I loved the cover design they did, but for some reason they put a gothic-style font on it, rather than the jazzy science fiction one I had on the website. This to me was a downside, and still is. To me the picture is eye-catching but the font looks a bit cheap and almost hokey. If you’re publishing it yourself then you have complete power over the look and feel, and of course absolute responsibility for it. In either case, take your time, it matters, especially with some of the later ways of selling I’ll come to. It becomes your ‘brand’. When the first book came out later in paperback, I got the cover re-done. I don’t ‘buy’ free ebooks, or ebooks for 99cents, because I figure they are cheap for a reason (lack of quality). Maybe some of them are really good, I’ll just never know, because the few I looked at were pretty awful. Pricing with paperbacks used to be logical – there were printing costs, advertising, cover design, author royalties, distribution and warehousing and retailer costs, etc. Mass trade publications therefore hit the market at around $6.99 because this allowed a reasonably cheap entertainment experience (how else could you get a week’s pleasure for such a price?) and gave the publisher a profit margin and an author enough money to live out a meagre existence in a Parisian garret on cheap red wine, French bread and Gauloises. With ebooks, the price market got turned on its head. Took me a while to realize I needed this, as many people cruising Amazon may not want to visit separate websites for fear of Spam, or simply because Amazon is meant to be your ‘one-stop-shop’. It needs a good picture, short bio, and information about the book. It can help the reader/buyer make a judgement about whether to trust the book (and author) or not. On Amazon, for most books you can read the first few pages or even the first few chapters. This is indispensable, and it means that what any agent or publisher would tell you is true, that the first few pages have to be the best writing you can produce. As a reader/buyer, I always read the first paragraph, especially the first line, to find out if the author knows how to write, and has a fresh and interesting style. If I get hooked and find myself reading beyond page 2, I’m probably going to buy it. These are very important. For example, I read science fiction but not fantasy, nor crime or mystery, and never ‘romance’. But a mystery/crime set in science fiction – well, hell yes, why not? And interestingly enough my first book was classified this way. My second was classified as science fiction / space opera. Here’s the important selling difference: when book 1 hits 20,000 or less (higher) on the Amazon ranking, it will say, for example #75 in science fiction/mystery crime. The second book will just say #20,000 on Amazon rating. If either book gets to #10,000, they’ll both get into say #50 in science fiction / space opera, but the first one will also by then say #35 in science fiction mystery/crime. Now, any reader can do the math and realize that they’re still not big sellers on Amazon, but the point is that they get into the top 100 in certain categories, and they look more like winners. Also, Amazon may then start recommending these books to other buyers in those categories. If either book gets as high as say #6,000, then they will get into the top 100 science fiction scale, and then you start to rub shoulders with some of the more famous authors. It can have a snowball effect, and happened to me about a month ago, and was nice to see! So, tags matter. They help you get noticed. For example, I just cut and pasted this morning's ratings on The Eden Paradox (book 1) and Eden's Trial (book 2), see below, from Amazon.co.uk, where I sell most books. The ranking isn't much different, but book 1 is #72 in the SF/mystery crime bracket. Looks better, right? Which one would you buy, given the choice? This feature is good on Amazon for readers, but the author has little control over it. For instance, with my second book, Eden’s Trial, some people thought it came from another ‘Eden Trilogy’ which came out about the same time as mine, but it is not science fiction, and is more fantasy/romance. This put people off, until thankfully enough others bought mine and then bought more science fiction, so that it looks like it is sitting on the right ‘shelf’ now. It took me a while to get into writing blogs, but now I usually look forward to writing them. I only write on average about once a week. My publisher(s) [yes, I have two] tell me to do more blogging, or guest blogging, but I don’t, because my job is pretty demanding (about 60hrs per week, usually encroaching into the weekends and evenings), and if I did more blogging I would not be working on my third novel. But I like blogging, and I either blog about science fiction or else the art of writing as I understand it, in the context of science fiction. Blogging only costs time, and usually sells a few books with each blog. I now see through blogger’s analytics that quite a few of my older blogs get read, so people are finding my stuff one way or another. I don’t have many formal ‘followers’ as far as I can tell, but my blogs get read, and occasionally I get comments, though not that many. But if they get sufficient interest and get new readers interested in buying the books, well, that’s good. I often show passages from parts of the books, or from stories I’m working on, or new sequences from the current novel-in-progress. That way people really see how I write, and, if it interests them, they splash out with a few dollars and buy the book(s). I don’t have so many reviews on Amazon, but they’re generally five stars, and no, I don’t know all the reviewers. Some of the reviews are quite detailed, and one even had a ‘spoiler’ in it, but they were all good so I just left them there. Someone told me to write my own reviews under false names and email addresses. I said no. I’m sure such practices go on, but I don’t agree with it. It’s wrong, plain and simple. By the way, if a book has only 5* reviews, and lots of them, I don’t trust it. Appreciation by readers is subjective, so somebody is bound not to be enthralled by your book, so get over it, because some middling reviews or even a couple of turkeys won’t do you too much harm. For my first book, after about nine months I got it published by a small indie publisher in paperback. I then sent it out to around ten places (e.g. science fiction journals like Asimov’s and a bunch of other places) for review as my publisher couldn’t at the time, but after seven months it’s still not been reviewed. I guess they get hundreds of books to review, and focus on the more well-known ones. Maybe I don’t know the right people, as I’ve always felt publishing is a ‘contact sport'. I did get early manuscripts of each book reviewed by a science fiction author, however, and used some of the nice things he said about my book (with his permission, of course) on the back jacket and on Amazon etc., which I do think helped sales. This one was a bit of shock, so much so that it took three attempts before I learned that splashing out hundreds of dollars on half-page colour adverts, or as an online glitzy banner on a nice top Scifi website like Analog SF, sells virtually no copies whatsoever. They are nice to see, however, and I’m afraid I probably haven’t learned my lesson yet. Oh well, I’m helping magazines survive I suppose, even if they only rarely accept my stories. I do think it makes some people check out my website, however, as I always put that in adverts. I’ve done a few interviews with the writing scene in Paris where I live, and they are fun, though I don’t think they lead to sales, they just make you more three dimensional as an author. They also made me think about how I was projecting the book and re-evaluate some aspects of my sales pitch and target audience. But like I say, they’re fun. The time they probably work best is with a book launch, and then getting an interview with a local paper, for example. When I did a (paperback) book launch in my home town in southern England in March this year, my sister tried to set up an interview for me with about six papers, but the papers didn’t get interested (maybe a scifi thing). Latest request from my publishers is to do blog tours. But these take a lot of time, and, well, I’m just not convinced. I’ve done some guest blogs, and it was fun, but no big deal really. Again, for me, I have limited time. But over the summer I'm going to try it and see, just to reach some new audiences, and get in touch with other indie scifi authors. Dropping the price can attract people. Amazon do this sometimes in a laughable way, e.g ‘was $2.99, now $2.78!’ like anyone would care. However, ‘was $8.99, now $2.99' will get noticed. Of course the reader will look at the Amazon ranking and if the book is still in nowhere-land, will not be so impressed. Also, it tends to be a one way street. ‘Was $2.99, now $8,99!’ is obviously not going to endear readers. So, take your time before you plunge your price. A better option might be the ‘giveaway’. These are normally for a fixed duration, e.g. a day, three days, or in the case of Amazon Prime, three months. I think the latter one is daft – you’re going to make your ebook free for three months to a random group who buy lots of ebooks. My publisher for the second ebook did this, and nothing much happened – it actually suppressed sales, because the price for non-Amazon Prime readers was very high $9.30 for an ebook by a unknown author. However, the publisher then did a three-day giveaway followed by a price reduction, and this shifted 1400 ebooks in three days, coupled with my efforts on blogs and twitter, and it triggered a significant spike in sales on book 1 as well. Because both books rocketed up the Amazon charts, this then had the desired snowball effect as both books got into the top 100 Science Fiction category ( #3 in UK, and #20 in US), and so sales continued to remain high for the next few weeks. I had interesting comments from people I’ve never met, saying, for example, “I’d never heard of you but liked the cover and it was free, so I downloaded it. After reading the first chapter I realised this was quality writing and it was a sequel, so I immediately bought the first one, and read them in sequence. So, when is book 3 coming out?” Sweet. This is Kindle’s own Facebook-style way of pushing ebooks to 80,000 readers. I know it works for some people, but I paid something like $130 for a one-day sponsorship, and it sold five ebooks worldwide. Don’t know why. 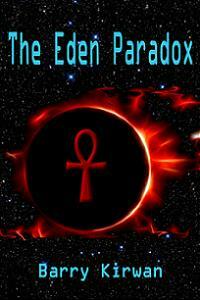 Maybe it’s because my books are science fiction, maybe it was the cover. I’ll never know. But whilst the service was good, and they did push it out there, I won’t use KND again, that’s for sure. To sum up, you’ve probably gathered by now that I’m not big into social media, not big into selling myself, and would rather be writing novels, stories or blogs than all the rest of the ‘marketing stuff’, and hanker after the old days when authors wrote and publishers did the rest (if such days ever truly existed). Still, the books keep selling, so between the blogs, twitter, a website and having a series of books, something must be working (I'm hoping it's the writing). I hope some of the info above might help other Indie authors navigate through the marketing maze and not waste money on things that don’t work. Just remember two things, both of which are probably true: (1) Publishers will tell you that effort spent on marketing is more important if you really want to sell, than writing your next novel. (2) You are defined by what you do. 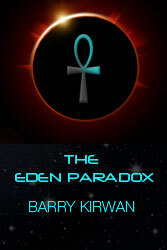 The Eden Paradox is available in ebook and paperback on Amazon, Barnes & Noble, Ampichellis ebooks, and Waterstones UK. Eden's Trial is available in ebook from Amazon. Eden's Revenge will be out for Xmas 2012. Why would aliens want our oceans? What would subspace look like?